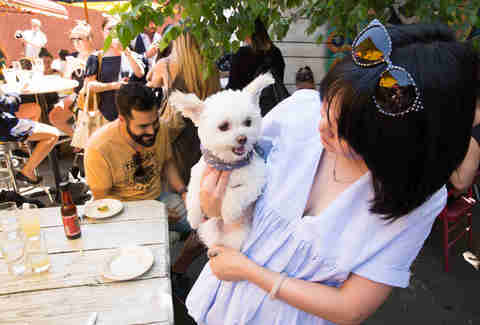 Last Sunday, Instagram sensation Brunch Boys hosted New York’s very first puppy brunch to raise awareness for Badass Brooklyn Animal Rescue and kick outdoor brunching season off right. Since there’s probably no one in existence with a cold enough heart to say no to waffles and puppies, we’re going to go out on a limb and say you haven’t enjoyed brunch until you’ve enjoyed it with a pup. 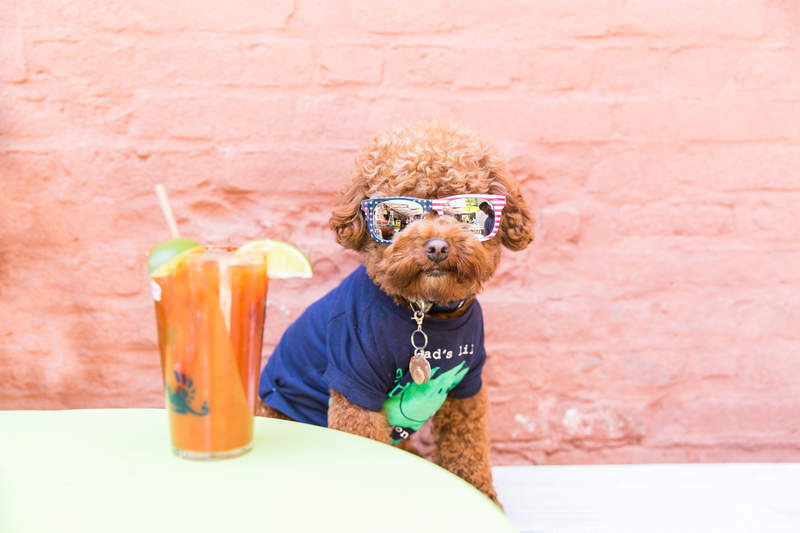 And thanks to recent changes to New York City laws, brunching with your dog will be a much more common experience -- restaurants are now free to let patrons bring their pups to any outdoor eating area. 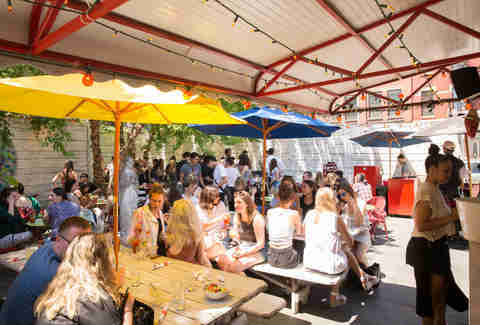 Hosted in the yard of Cafe de La Esquina in Williamsburg, Sunday’s event was full of brunch food, Instagram-famous pups, and treats for dogs (while mimosas for dogs have sadly not yet been invented, there were doggy beers!). 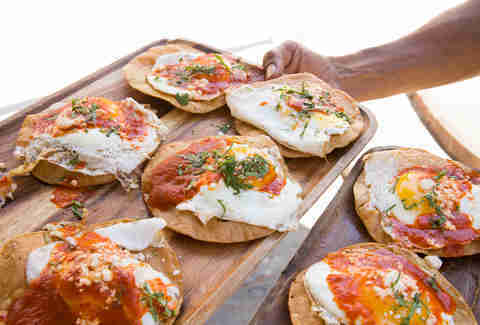 Check out more scenes from the brunch below. Gizzy, star of the Instagram account @newyorkdog, showed up and fans went crazy. Gizzy showed great restraint posing in front of a tray of tostadas while the pup-arazzi swarmed, but a feisty rescue named Nathan swooped in to steal a mini tostada. 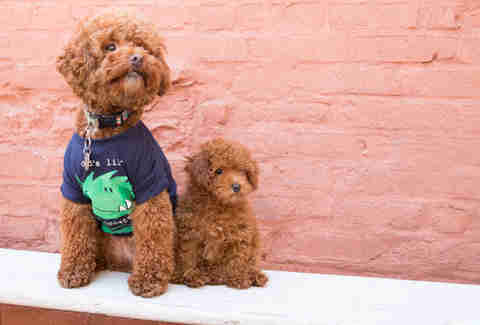 Other attendees included Agador, of @poochofnyc fame, with his signature pomp and his protégé Fred, who is well on his way to being Instafamous in his own right under the handle @littlefreddietinkles. Badass Brooklyn Animal Rescue, an all-volunteer group, brought two adorable pups that were up for adoption. 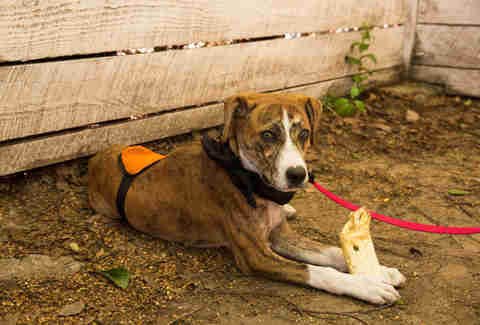 Cindy Lou Who (pictured), a sweet and playful puppy, is still very much up for adoption. The Rescue was happy to report that the other rescue in attendance, Atticus Finch, is already happily adopted and has been renamed Erie. 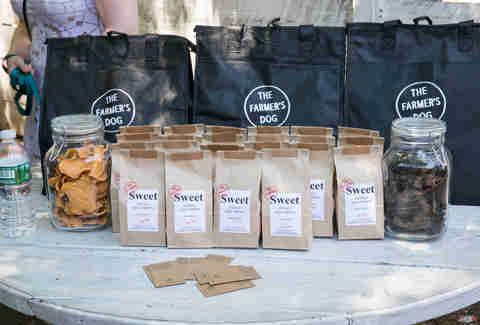 While the humans brunched on waffles, the pups sampled baked sweet potato chips from The Farmer’s Dog, a startup that sells subscriptions to homemade dog food. 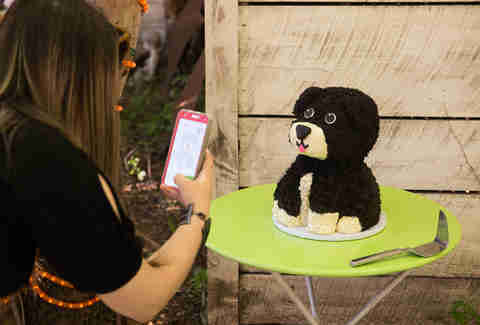 Cofounders Brett Podolsky and Jonathan Regev were there (with their dogs, of course) and told us about how they started cooking homemade meals in Podolsky’s tiny East Village apartment because his Rottweiler, Jada, had health problems. 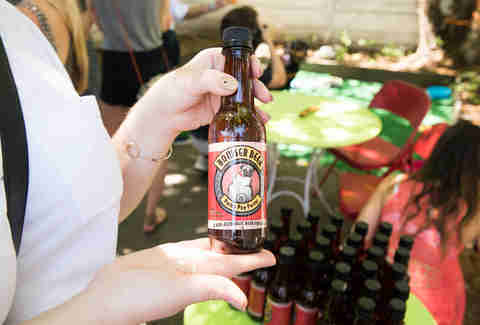 Mimosas for the humans, and non-alcoholic Bowser Beer from 3 Busy Dogs for the canine brunchers. These chicken or beef brews are full of vitamin B-rich malt barley and glucosamine for joint health. The afternoon wrapped with a chocolate cake by Chelsweets, in the shape of a dog head. Brunch Boys have already been approached by other venues for more dog-friendly brunches, and while a second event is not yet planned, there’s a good chance this isn’t the last we'll see of puppy brunch. Bartie Scott is a journalist living in Brooklyn. By day she writes about entrepreneurship. During off-hours she's up for all things food, dogs, and fitness. Follow her on Twitter and Instagram.